There is so much that speaks to me about this encounter at a well. A Savior who comes to where we are, seeks us out. The empty water jar symbolic of our search for meaning, acceptance, love. And instead of condemnation and shame we find forgiveness and life. I can identify with this unnamed woman that Jesus encounters there. Like her, going to the well of this world filling my jar with money, desire, ambition, but never satisfied…. And there are people you know that are on that same journey, traveling to the wells in their lives. But always coming up empty…. Maybe today is the day He becomes Savior. And you will never be thirsty again. 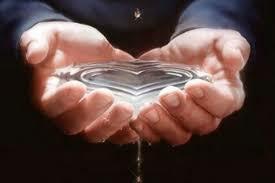 With a simple request for water Jesus sets in motion events that change an empty woman’s life, and all those around her. He can do that for you to.